CodeTwo is a recognized and trusted independent software vendor delivering award-winning solutions for Exchange and Office 365. Find out why partnering with CodeTwo is a win-win situation. Our programs can add a great value to MSPs, CSPs, SIs, VARs and other resellers’ Office 365 offerings. CodeTwo solutions enrich Office 365 with additional features in the areas of mailbox migration, backup, and email signature management. Beat your competitors by offering Office 365 with extra features your customers look for. CodeTwo is the only software vendor offering a group of different products that complement Office 365. You can combine them with your Office 365 offering as well as get a competitively-priced bundle for your internal use. Customers come to you because they need to fill the gaps in native solution functionalities? This is a chance for you to gain their trust and recognition by satisfying (or even exceeding) their business needs. With CodeTwo products in your portfolio, you can advise on easy migrations to Office 365, mailbox data backup, and company-wide automatic email signatures for all employees. CodeTwo is always aiming to have 100% of happy customers. That is why, if you have to consult anything or your customers ask questions about CodeTwo programs, do not hesitate to contact us. CodeTwo highly-trained technicians are available 24h/5, ready to assist you anytime you need. 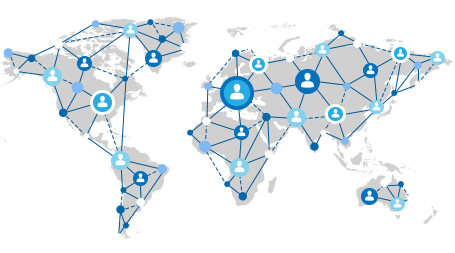 We are trusted by thousands of partners and clients from 150 countries all over the world. Our experience gained throughout 12 years of hard work resulted in solid and recognizable solutions your customers will love. Join the CodeTwo Partner network to accelerate your business growth. We are experts in developing solutions that perfectly integrate with Microsoft Office 365 and Exchange platforms. As Microsoft Gold Partner, achieving competency in the Independent Software Vendor (ISV) category, CodeTwo ensures the highest quality and reliability of the delivered software solutions. What experts say about CodeTwo? Help centrally manage email flow, control attachments, autoresponders and more. Bring new and low-cost marketing opportunities to promote their brand via email signatures. Simplify and automate mailbox migration between Exchange and Office 365 in both directions. Secure the user mailbox’s content by creating reliable offline backups easily restorable when needed. Keep Exchange mailbox data synchronized and shared across the entire organization. Not require any expert or technical knowledge. Simply make the business life easier. If you like our programs, we will be happy to partner with you to expand both your and our customer base. To join CodeTwo Partner network, please send us your request via this form.